What can I tell you about Phil Lee? He loves Xoloitzcuintli, the Mexican hairless dog breed, and has two of them. He lives in Cayucos, though he tours regularly throughout the United States in his black cargo van. He sports outlandish hats of all varieties. He's impish of stature but always carries a knife, which he can throw accurately. He writes brilliant, hilarious, heartbreaking songs. Like Bob Dylan, he has a singular unorthodox voice that grows on you the more you hear it. He's also playing Painted Sky Studios this Wednesday, April 10, with The Staehely Brothers (7:30 p.m.; all ages; $20 at Boo Boo Records, Ball & Skein, by phone at (805) 927-8330, and, if not sold out, at the door). 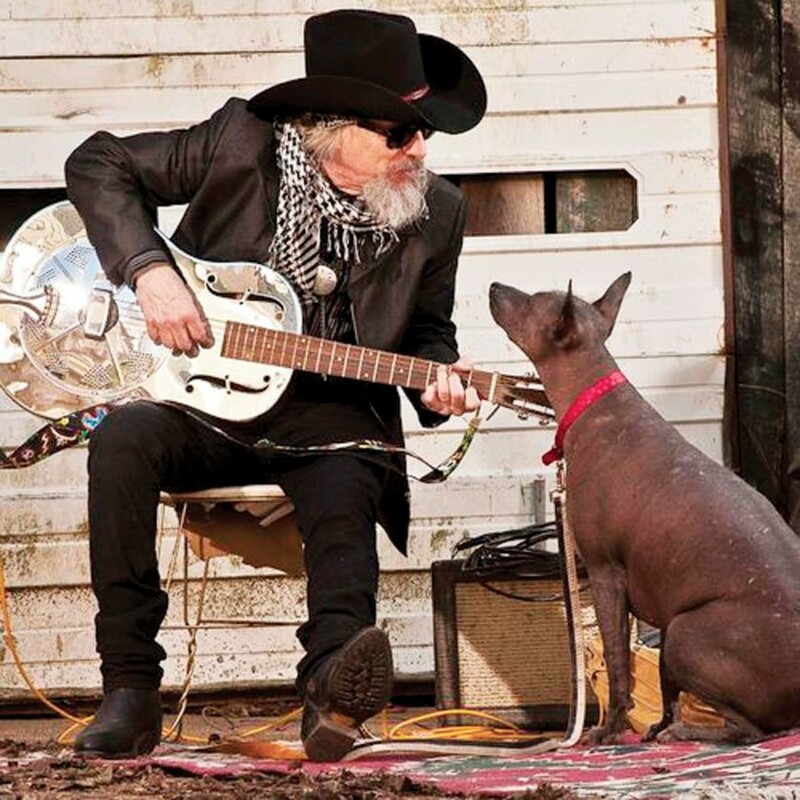 LOVER OF HAIRLESS DOGS Phil Lee plays with The Staehely Brothers on April 10, at Cambria's Painted Sky Studios. Lee recorded his most recent CD, Phil Lee & The Horse He Rode In On, at Painted Sky Studios, so it seems appropriate that he'd play his album release party there. The album features 12 Lee originals, and he's enlisted a wide variety of guest accompanists, but the core players are Lee on guitar backed by the Crazy Horse rhythm section. Maybe you've heard of them: Ralph Molina (drums) and Billy Talbot (bass). They play with another singer-songwriter named Neil Young. "They were delightful," Lee said over smoked chicken tacos at Ruddell's Smokehouse near the Cayucos pier. "They had the work ethic of Trojans or people from Minnesota. It only dawns on them from time to time that they're rock legends. Sometimes you have to remind them because they'll ask you, 'Well, what do you want?' Do whatever Billy Talbot would do, whatever Ralph Molina would do. Musically we're on the same level. We've been holding musical instruments for at least 50 years." Keyboard king Barry Goldberg (Electric Flag, Steve Miller Band) and guitar slinger Jan King also joined in, as did guitar master Richard Bennett (Neil Diamond, Mark Knopfler), slide guitarist David West, keyboardist Jack Irwin, singers Molly Pasutti and Taryn Engel, and even Jake Berger and Pete Anderson (Dwight Yoakam) add their guitars to one track. The album opens with the title track from Lee's first record, 1999's The Mighty King of Love, which has become one of Lee's signature songs. "'Mighty King of Love'—I had to do that one," Lee said. "It was on the first record, and it was an acoustic version, a little cassette version, and it never sounded right to me. I'd done it in a movie—me and Barry Goldberg did a version for TriStar Pictures." The original version was more glibly delivered. But on the new record, Lee sings it like a wounded lover: "You called me the King of Love/ Don't I wish I were/ I wouldn't even call myself a gifted amateur/ I am the king of nothing/ I'm mostly skin and bone/ And of all the broken hearts I broke/ I mostly broke my own." Lee felt it was the perfect song for Molina and Talbot, with their rock steady rhythm layered with Goldberg's organ sounds. It's a heartbreaker. Lee returns to another previously released track with "Wake Up Crying." "Ralph and I had been playing and playing and playing, and it was one that showed off Ralph's chops," Lee said. "In all those Neil Young records, I never heard Ralph do a drum solo, and he was great. It was so cute to see him just about go into a panic knowing it was coming, get this big smile on his face, like 'wish me luck.'" The track has a terrific driving jangly sound, and the drums push the song to new heights. The whole record is filled with great new tracks, great playing, and a much fuller sound than Lee—who usually plays solo—is known for. Of course, this isn't Lee's first collaboration with a well-known band. 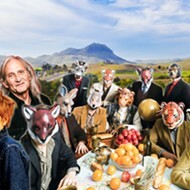 On his 2013 album, The Fall & Further Decline of the Mighty King of Love, Lee worked with members of Wilco. He found a great engineer in Steve Crimmel, who owns and operates Painted Sky, and they also brought in a co-engineer. "We had a Nashville guy come in helping us record this stuff, Michael Fleming, who's a genius-level recording guy," Lee said. "He's a professor of recorded arts and sciences at Middle Tennessee State University, so he came out and did his thing. Barry Goldberg was part of Electric Flag, Two Jews Blues, and was with Bob Dylan when he went electric at Newport." Of course, all these luminaries won't be at Painted Sky next Wednesday, though Lee hopes Molina might make an appearance and sit in on a song or two. 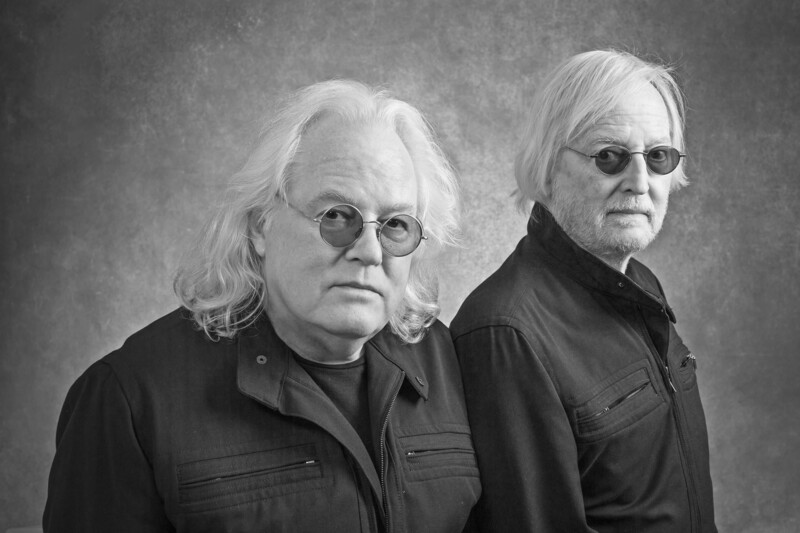 SPIRIT Former members of Spirit, Al and John Staehely, play Painted Sky Studios on April 10. "We've got two guys from Spirit, Al and John Staehely, so I'll open up the show solo, do my 30 or 40 minutes, then Al and John will come up, and then we'll all three play together at the end," he said. "We recorded a little power trio thing at [Painted Sky] when they were in town, with two of my songs, and they do one of mine, 'A Night in the Box,' so after we do all the folk stuff, we'll do the drums and electric guitar and bass. Hopefully I'll get Ralph to sit in on 'A Night in the Box.' So it's going to be a fun, fun night—very relaxed." As we finished off our tacos, I asked Lee if there was anything else people should know about him. "Well, I'm super cute, a poet, killer in the sack, I have references, I shot Liberty Valance—no, I'm just trying to promote this record, which everybody seems to like a lot," Lee said. "I wish I could just call it Phil Lee & Crazy Horse, but I sort of got around that." Come witness the Mighty King of Love in person, who's a great raconteur: "I want to get people accustomed to expecting equal measures singing-songwriting guy and performance artist," Lee added, "kind of warning that while there may not be blood, there most certainly will be antics." You can also pick up a copy of Phil Lee & The Horse He Rode In On and get it autographed! And look out for an upcoming Shaky Pictures documentary about Lee: "Not just about me but guys who do that little house concert circuit, guys who aren't now and never will be rock star guys, but we work," he said. Phil Lee is definitely one of a kind—100 percent original! This is a huge week for the Fremont Theater, hot on the heels of their sold-out Ryan Bingham and The Offspring shows. 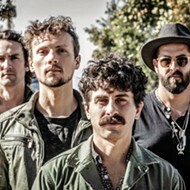 They start with dance/electronic act Space Jesus playing on Saturday, April 6 (9 p.m.; 16-and-older; $28.48 presale at Boo Boo's and fremontslo.com), with BUKU, Sayer, and Huxley Anne opening. If you wanted to see Shoreline Mafia on Sunday, April 7, it's sold out. 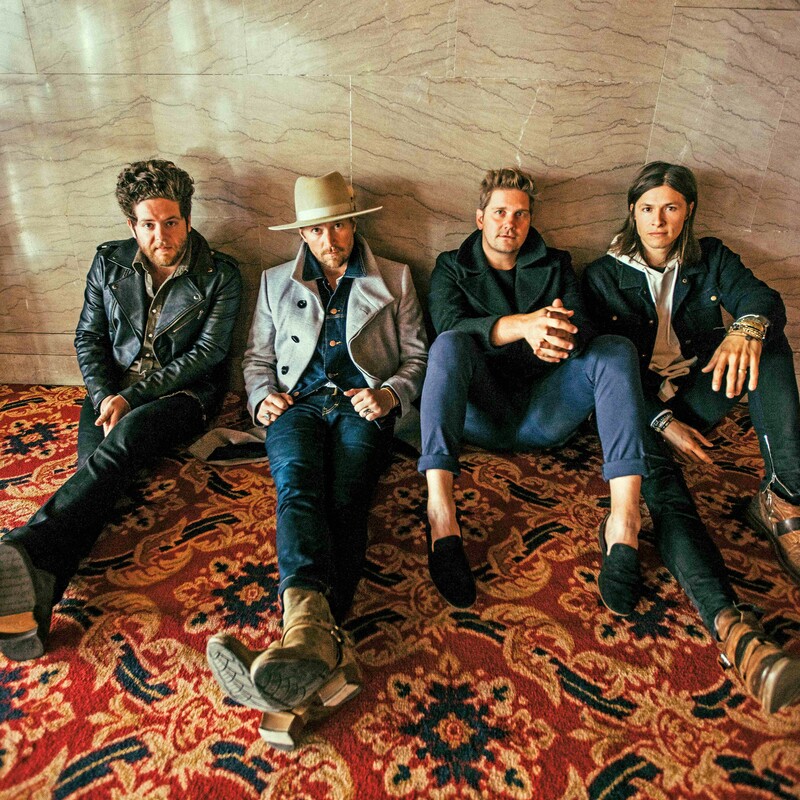 PLAYING FOR SWEET JESUS Grammy-nominated Southern Christian rock act NEEDTOBREATHE plays the Fremont Theater on April 9. It's almost sold out! NEEDTOBREATHE on Tuesday, April 9, is almost sold out (7 p.m.; all ages; $43.73 to $84.78 at Boo Boo's and fremontslo.com), with Sean McConnell opening. 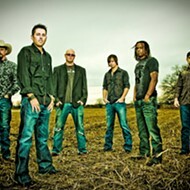 The Grammy-nominated Southern Christian rock act is touring in support of their recently released Acoustic Live Vol. 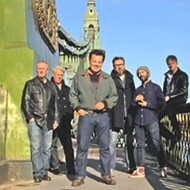 1, which was self-recorded across the band's first-ever fully acoustic live tour last year. It represents more than a decade of music, with songs spanning five of their six studio albums. 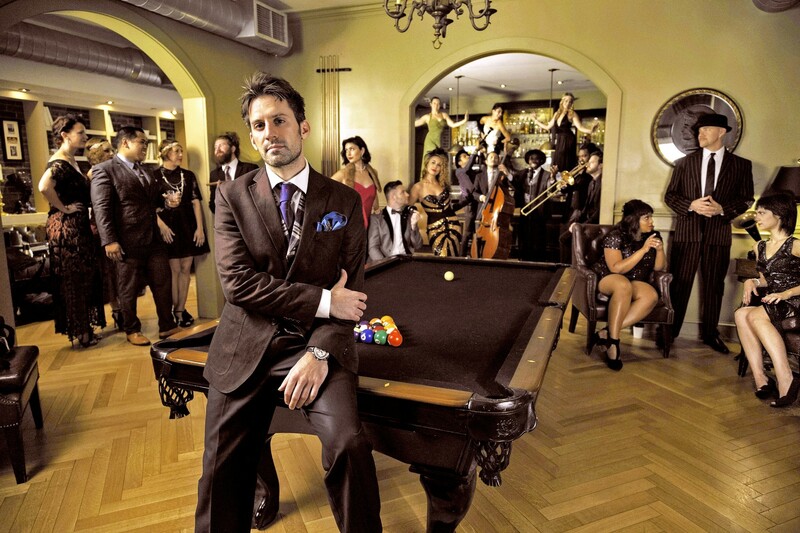 WHAT'S NEW IS OLD Scott Bradlee's Postmodern Jukebox returns to the Fremont Theater on April 10. They sold out last time! I'm personally most excited about Scott Bradlee's Postmodern Jukebox, which sold out its last Fremont appearance. 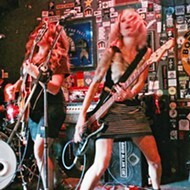 They play next Thursday, April 11 (8 p.m.; all ages; $42.56 to $62.50 at Boo Boo's or fremontslo.com). If you've never seen or heard of these guys, look them up on YouTube. They take really catchy contemporary pop songs from everyone from Lorde to Miley Cyrus and rearrange them into various vintage genres. They're amazing! 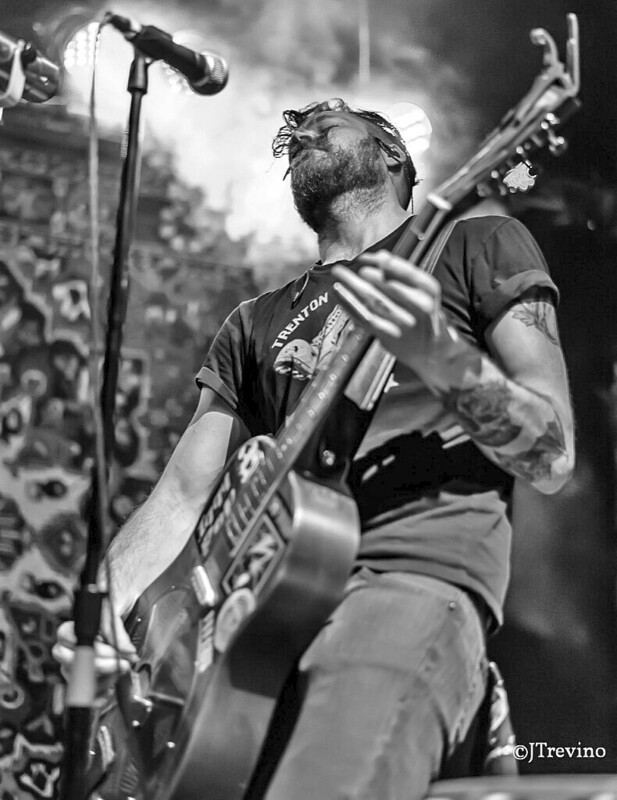 ONE-MAN BAND Lincoln Durham and his Preachin' to the Devil Tour stops at The Siren on April 4. Numbskull and Good Medicine Presents has a quartet of shows lined up this week starting with Lincoln Durham and his Preachin' to the Devil Tour stopping at The Siren on Thursday, April 4 (7:30 p.m.; 21-and-older; $15 presale at Boo Boo's and ticketfly.com or $17 at the door). According to his bio, "Armed with old bastardized mid-century guitars, hand-me-down fiddles and banjos, homemade contraptions with just enough tension on a string to be considered an instrument, and any random percussive item he can get his hands or feet on, Lincoln Durham is a Southern-Gothic Psycho-Blues Revival-Punk One-Man-Band with a heavy amped edge, preaching the gospel of some new kind of depraved music." Rapper Murs stops at The Siren on Sunday, April 7 (7 p.m.; 21-and-older; $15 presale at Boo Boo's and ticketfly.com or $17 at the door). He founded 3 Melancholy Gypsys and later joined the West Coast collective Living Legends. Locksmith, Cojo, and DK Eps open. Classic country act The Josh Abbott Band returns to BarrelHouse Brewing on Wednesday, April 10 (6 p.m.; all ages; $22 presale at Boo Boo's and ticketfly.com or $25 at the door). It's Texas country at its finest! Also on Wednesday, April 10, check out newgrass Americana band Old Salt Union at The Siren (7 p.m.; 21-and-older; $10 presale at Boo Boo's or ticketfly.com, or $12 at the door). It's a big week for music! 'BEAT OF THE MUSIC' Country music star Brett Eldredge is the season opener at the Avila Beach Golf Resort on April 9. 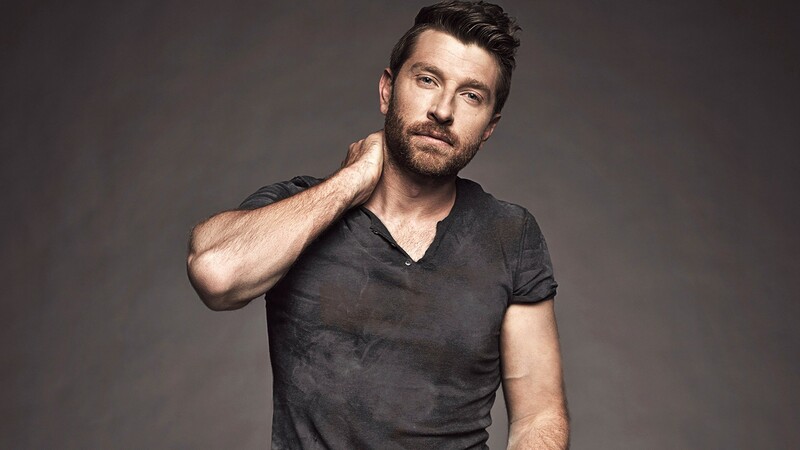 Otter Productions Inc. and Country Roots Live present country music star Brett Eldredge in concert at the Avila Beach Golf Resort on Tuesday, April 9 (6 p.m.; all ages; $42 to $105 at eventbrite.com; rain or shine though weather reports are currently showing it's clear!). Eldredge, who's 6-foot-4 and on the Warner Music Nashville label, has had three No. 1 singles on the Billboard Country Airplay chart from his debut album, Bring You Back: "Don't Ya," "Beat of the Music," and "Mean to Me." He's hotter than a pistol right now! PLAYNG FOR THE ROCK! 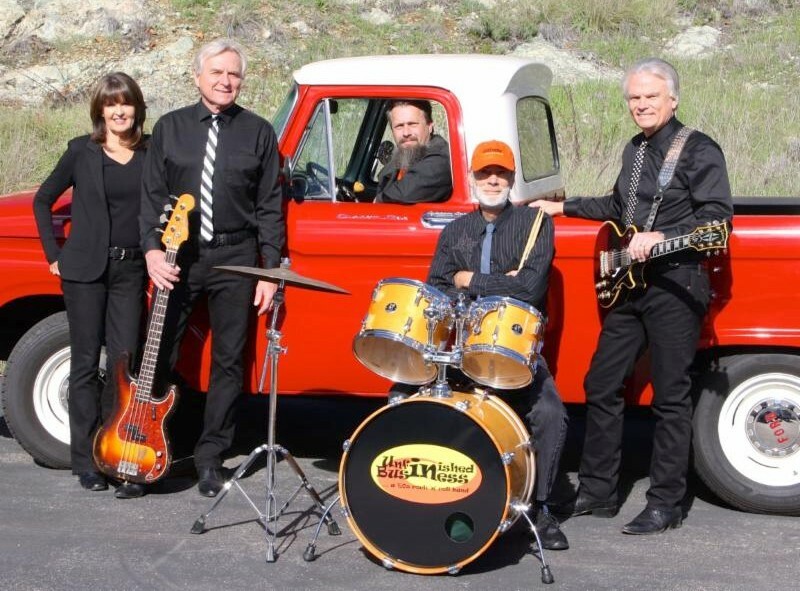 Super fun '60s-style rock act Unfinished Business will perform their British Invasion show in the Morro Bay Vets Building on April 6, during the sixth annual Community Radio Fundraiser for 97.3 and 107.9 FM The Rock. Super fun '60s-style rock act Unfinished Business will perform their British Invasion show in the Morro Bay Vets Building on Saturday, April 6 (doors at 5:30 p.m.; band at 6:30 p.m.; all ages; free), during the sixth annual Community Radio Fundraiser for 97.3 and 107.9 FM The Rock. Beer and wine are available, and there's a silent auction, food vendors, and a 50/50 raffle. The Rock, which is an old-school, live volunteer DJ radio station, will be celebrating its sixth year on the air. Everybody's invited. The Vinylistics and Slogrrrl will open the show.